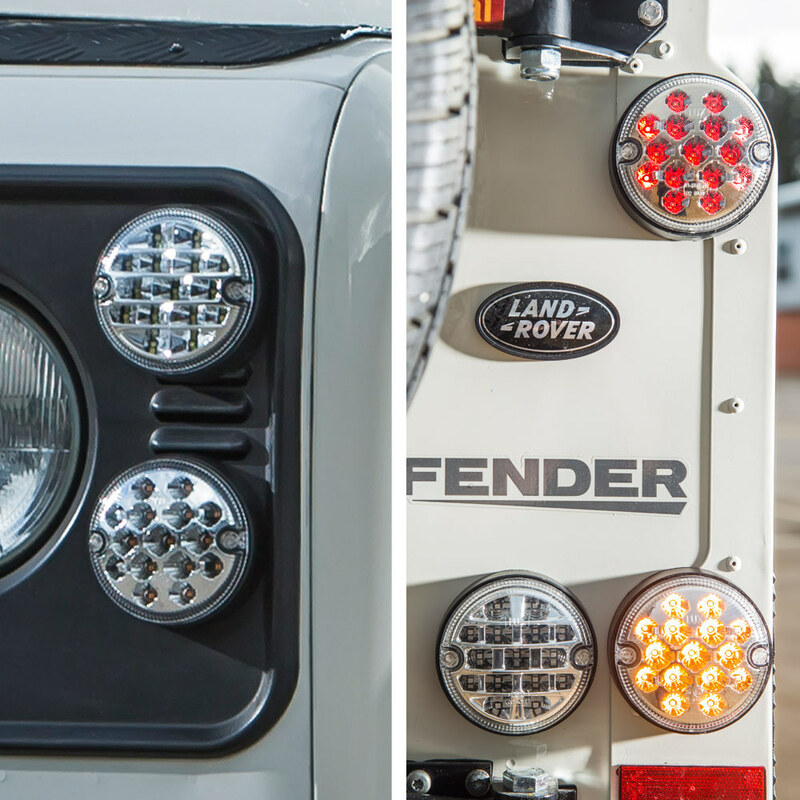 Here we have a wide selection of vehicle lights / work lights / driving lights / LED spot lights / flood lights / LED Light Bars and interior LED Lights. 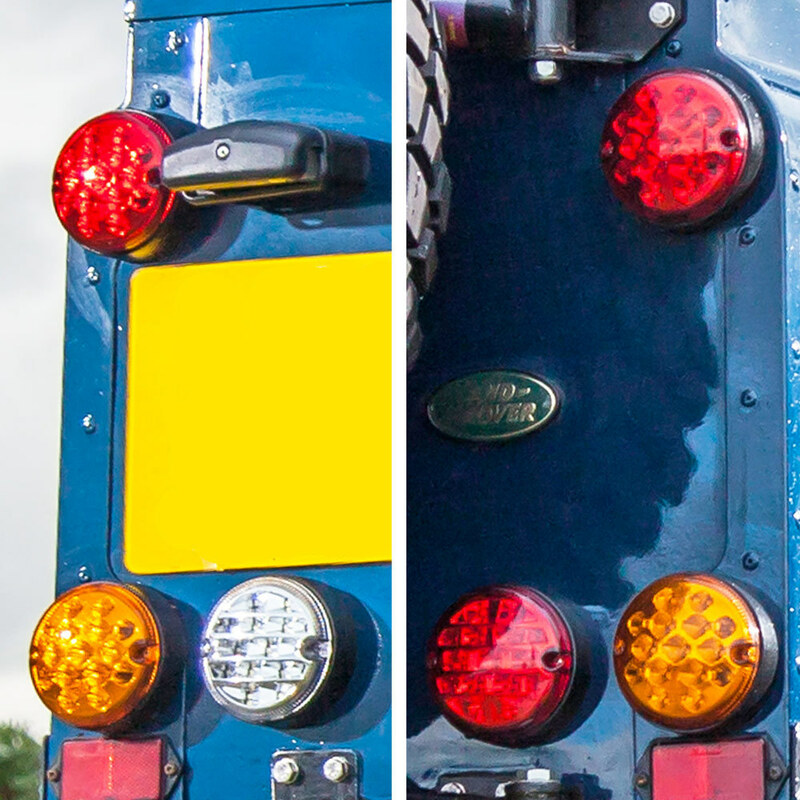 We have high luminosity LED lights and ultra bright Xenon HID lights, some are IP65 and some are IP67 compliant. Some have housings made of diecast aluminium and others are ABS plastic. Most have a wide voltage ranges. 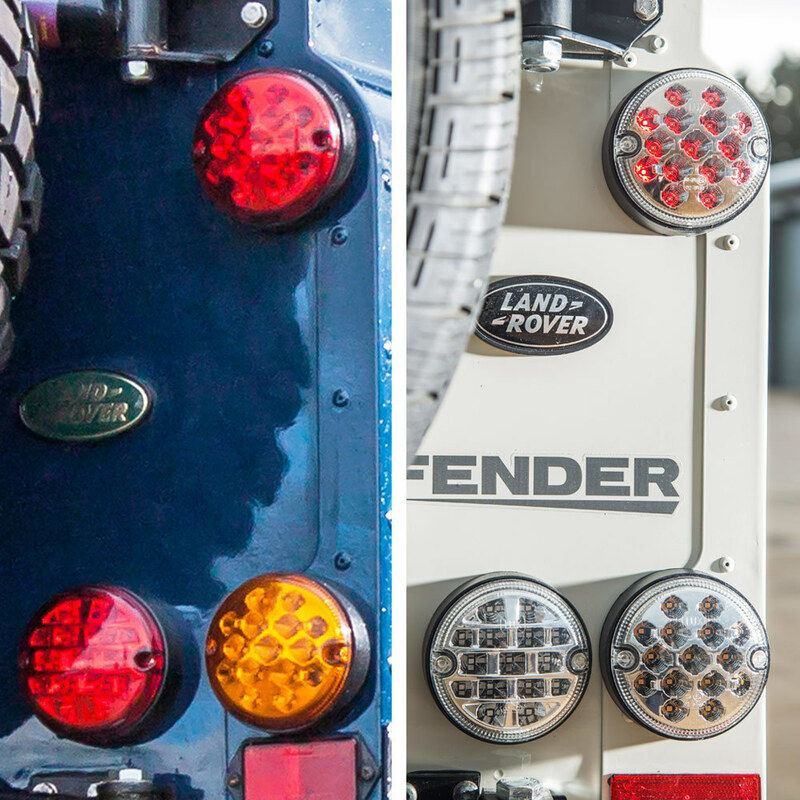 We also have a range of NAS LED lights for Land Rover Defenders, clear sets and coloured sets. 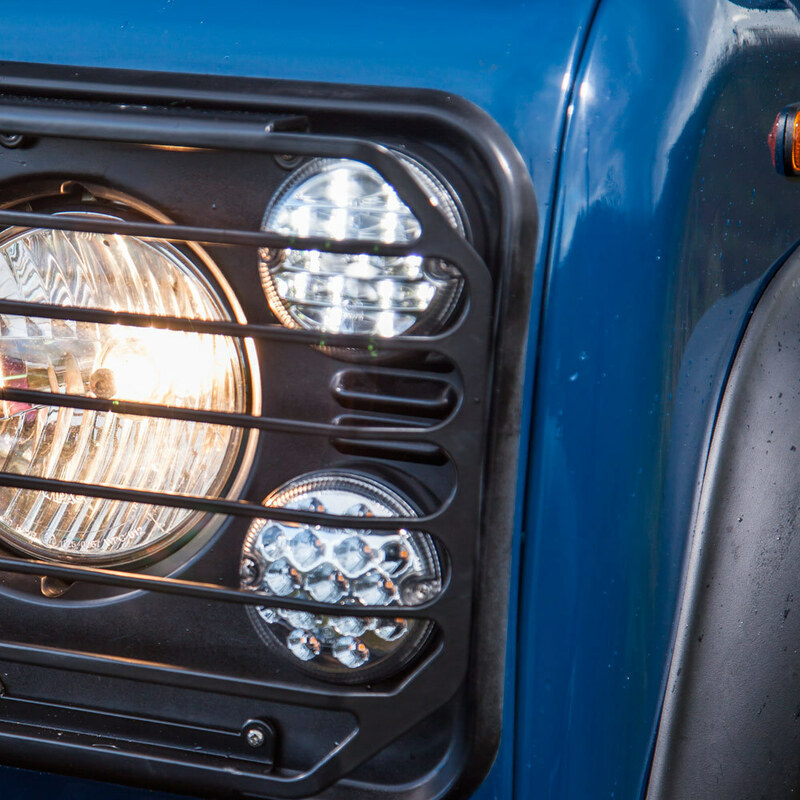 These Land Rover Defender NAS LED lights are for all post 1983 90 and 110, include front and rear NAS LED Lights with plinths, are waterproof to IP67, E marked (EU approved) and SAE approved, provide increased visibility (brighter than standard bulbs) and they enhance and modernise the look of your Defender, easy to fit DIY. 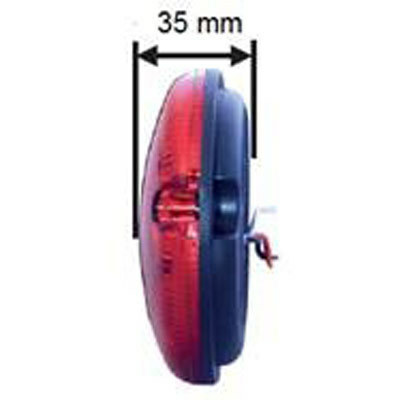 We also have a dedicated website for LED and HID Vehicle lights. See individual specifications for details. Call if you have any questions. Measurements: 95mm in diameter (Does not fit KBX Defender Grilles, can possibly be modified). 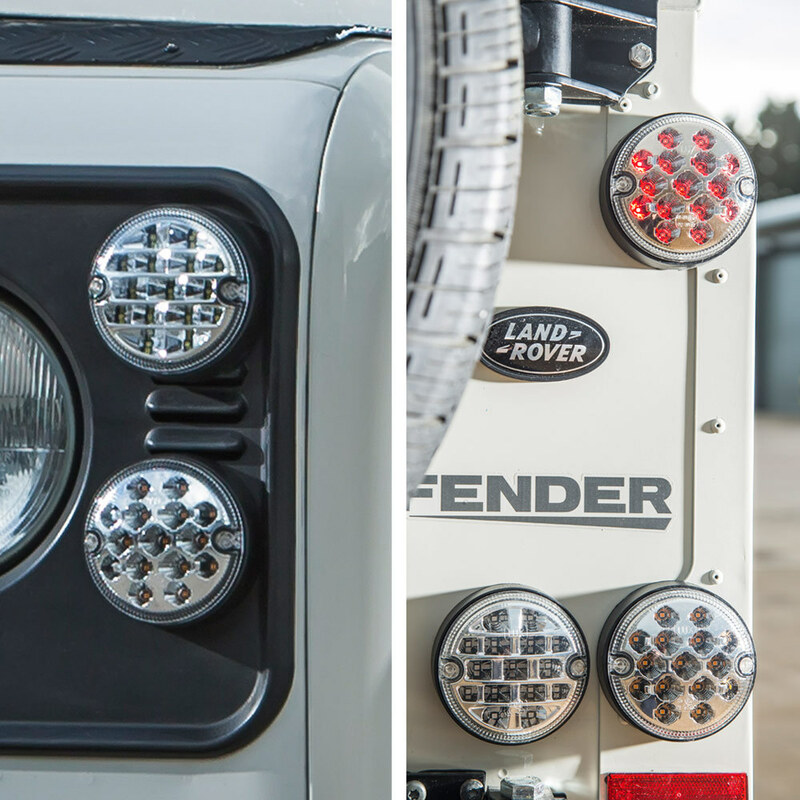 These easy to fit NAS LED lights provide increased visibility (brighter than standard bulbs) and enhance and modernise the look of your Defender. Clear, smoked or coloured NAS style lenses (the LEDs inside will be the correct legal colours). 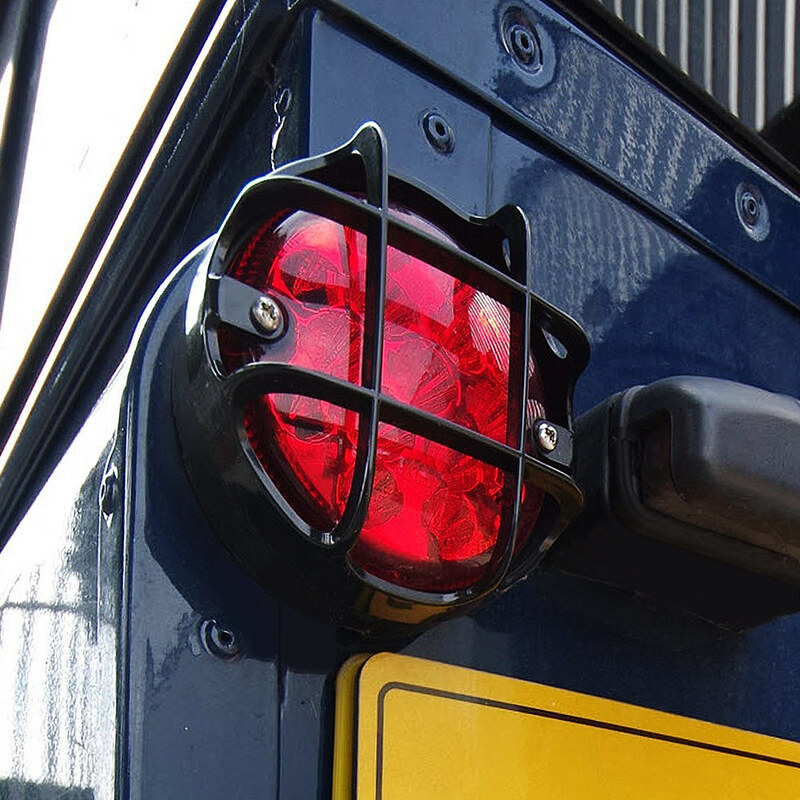 Optional 6 Rear Lamp Guards made of Rugged Plastic (see thumbnail photos). 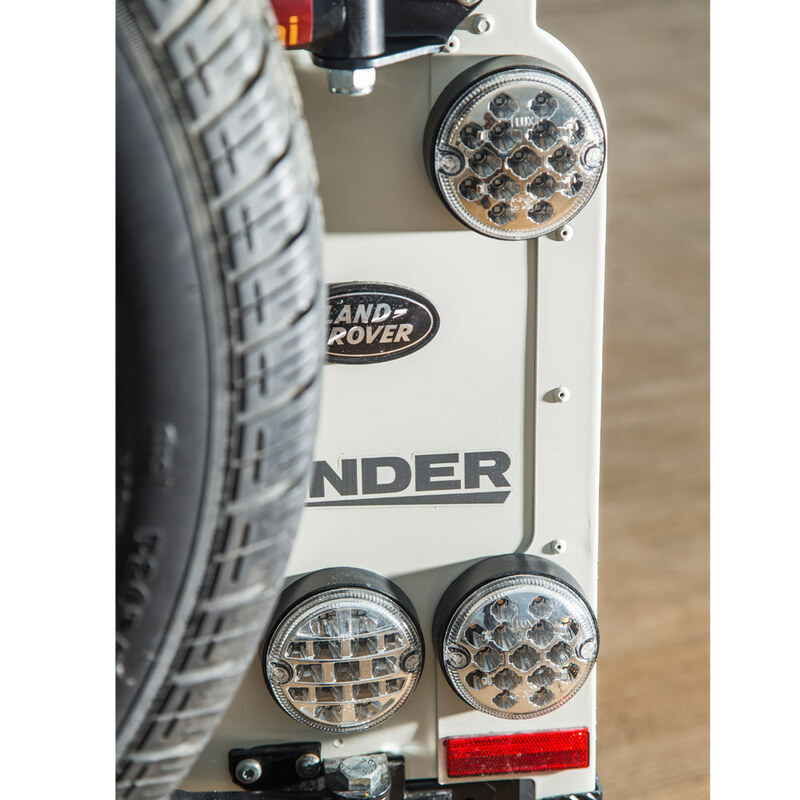 Add optional LED License Plate Light (click for details). 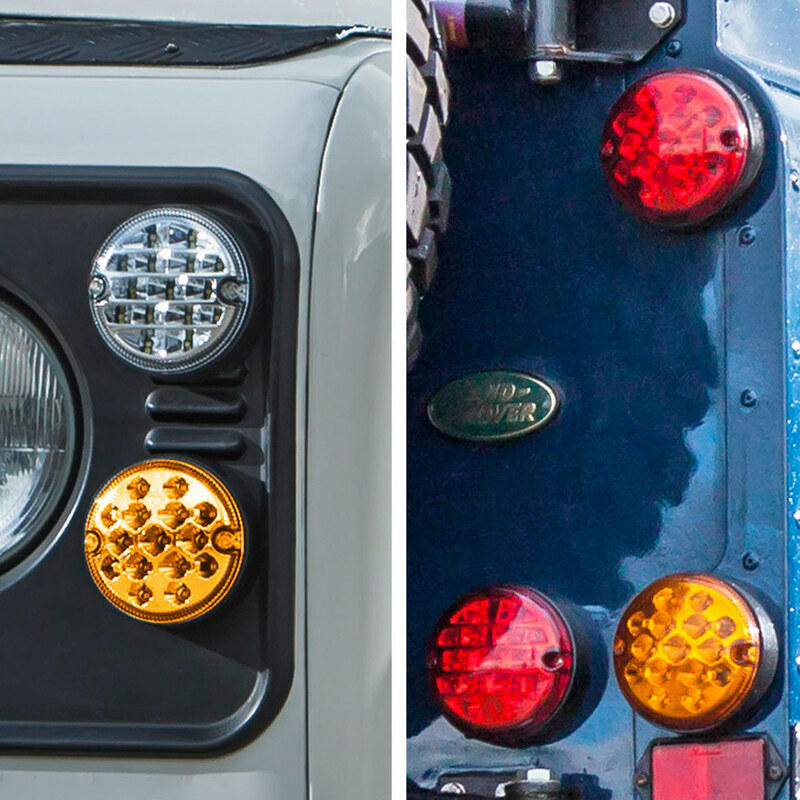 North American Specification (NAS) type LED Lights for all post 1983 Land Rover Defenders. E marked (EU approved) and SAE approved. 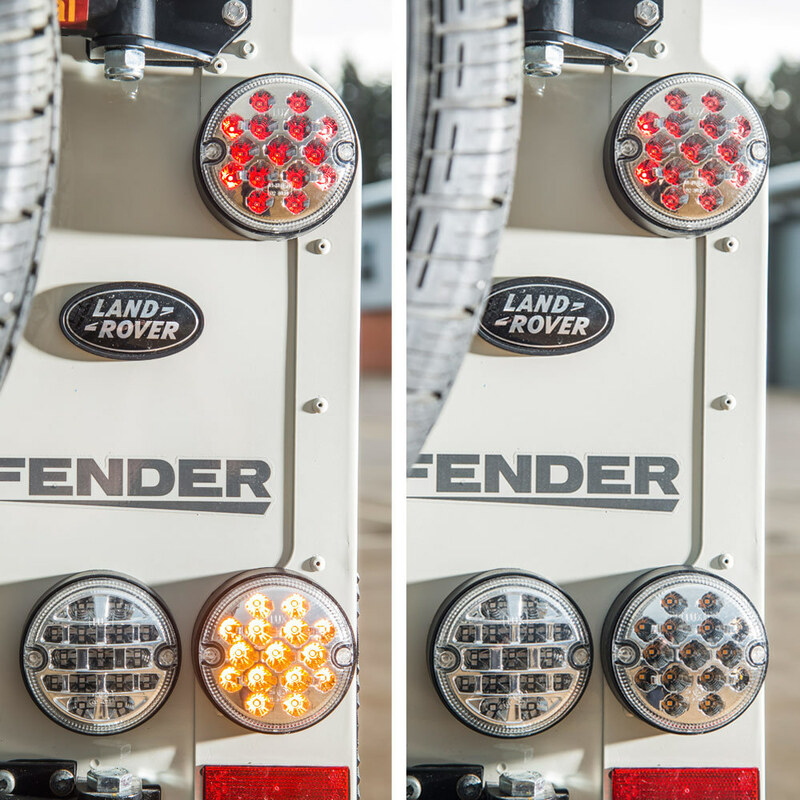 These NAS LED Lights give Increased visibility (brighter than standard bulbs) and enhance and modernise the look of your Defender. Flash speed adjustable relay, has 4 pins and replaces your existing relay. 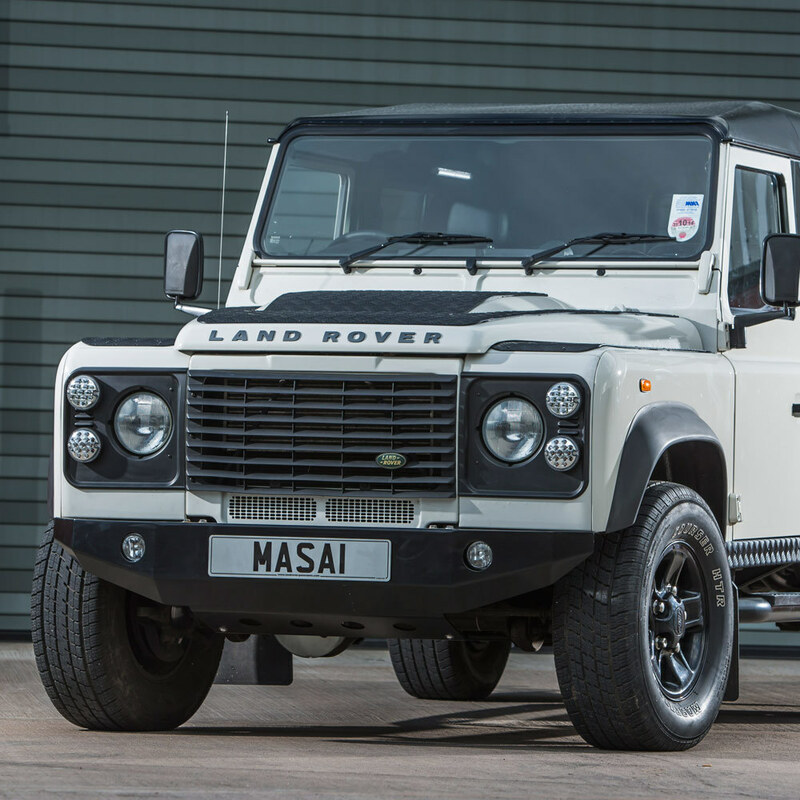 Small modifications may be required if you wish to convert your standard defender lights to these NAS style. Application:NAS LED LIGHTS, Indicators, Brake and Fog.